Former CIA Director Calls for Coup Against Trump! Would it surprise you to learn that a former CIA Director might encourage members of the government to enact a coup against President Trump if he fired one of his employees? It surprised me. I thought that I had become desensitized to the hubris of the left, but apparently their lawlessness can still surprise me. Former CIA Director John Brennan, and former DNI James Clapper, were speaking to CNN’s Wolf Blitzer at the Aspen Security Forum recently, when the topic of special counsel Robert Mueller came up. (You can see the full transcript from the interview here.) 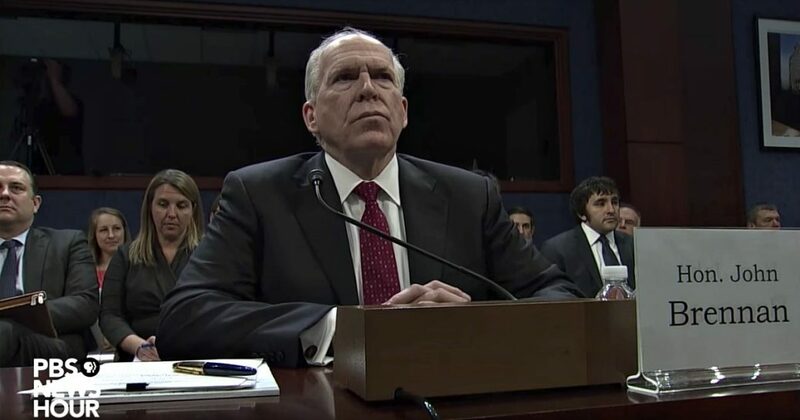 Both men voiced strong support for Mueller but then Brennan took things a step further and openly advocated for a coup against President Trump if he ever decided to fire Mueller (who as special counsel was hired by the executive branch and serves at the President’s pleasure). What Brennan describes is a coup because President Trump is the head of the executive branch and the Constitution gives him wide latitude in the hiring and firing of executive branch personnel. Mueller is an employee of the executive branch and is NOT investigating President Trump (which is why the executive branch could hire him in the first place), there is NO REASON that the President shouldn’t be able to fire him if he so chooses. This continued rhetoric from the Left is terrifying because it’s coming from supposedly “reputable” sources – like Brennan, and Democrat leaders in Congress. The Left’s continued use of such disturbing terminology will have devastating consequences – and it’s already had a major impact. Think of the violence we’ve seen at Berkeley, in Portland, in Seattle, and on that ball field in Arlington, Virginia. The Left is terrorizing their own supporters in the hopes of getting them so riled up that they literally overthrow the GOP leadership in D.C. They may say that they are just trying to get their voters agitated to make sure they vote, but their rhetoric is terrifying their true believers who are taking their words to heart. When Democrat leaders talk about this being the “end of our democracy,” and Trump being a “puppet of Putin,” their voters BELIEVE them. What would you do if you though that Trump and some GOP Congressman might be ending the American democracy or handing leadership of our country to Putin? If you seriously thought that was happening, you’d probably get violent too. The Democrats need to wake up and stop with the ridiculous anti-Trump rhetoric before they create a situation that they can no longer control and more people get hurt. Read more on Brennan and Clapper’s interview at ZeroHedge.